The popular British drama series 'Downton Abbey' has captured the hearts of audiences across the globe, with its story of a rich heiress who married an Earl, in order that both his ancestral line and his landed estate should be preserved by her money; but which ended with them falling in love. 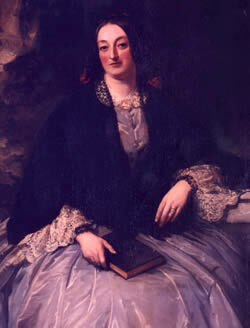 Mary Field, the 3rd Countess of Rosse was mistress of the real 'Downton Abbey', who married her husband William Parsons (1800-1867), the 3rd Earl of Rosse, to ensure the survival of his family's titles, their money their houses and their lands, but above all their line. All of this might sound mercenary - a young rich woman caught in a loveless marriage, but in the case of William Parsons and Mary Field, it was to quote an often used cliché - a ‘match made in heaven’. Together they forged a marriage of two like minds, two devoted parents, both greatly caring to those who relied on them for their livelihood, but with independent spirits to pursue their own interests. William Parsons, when he was Lord Oxmantown married Mary Field a Yorkshire heiress, on the 14th of April 1836 at the parish church of St. George’s Hanover Square, Middlesex . The financial security from this marriage, as well as the ownership of Birr Castle (which his parents granted him before they left Ireland to live in Brighton, England) allowed him to realize his scientific ambitions and plans - to build 'Great Telescopes' in order to 'to afford us some insight into the construction of the material universe'. Mary Field (1813-1885) was the eldest daughter of John Wilmer Field, Lord of the Manors of Heaton,Shipley and Upper Helmsley in Yorkshire. She along with her younger sister Delia (1815-1873) were coheiresses to their father’s considerable fortune and estates. 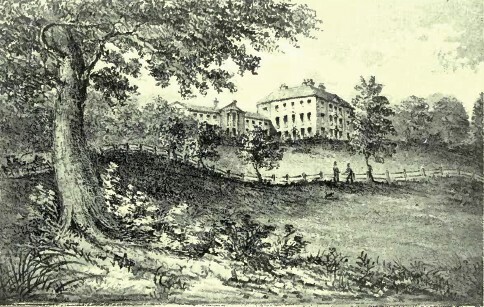 The ancestral home of the Field family was Heaton Hall in the then small village of Heaton, situated some two miles from the industrial town of Bradford, of which it is now a part. To read more on her life as mistress of the real 'Downton Abbey' and how she became a talented pioneer of early photography, read the eBook chapter on William Parsons, 3rd Earl of Rosse or buy the eBook 'Catchers of the Light'. “It would be an injustice to the Countess of Rosse were this short notice of the demesne concluded without acknowledging the debt the people of Parsonstown owe to her. She has with most exquisite taste improved and made delightful the grounds about the castle, and freely opened them for their accommodation. She has made the town the residence of all who can command the means, and the envy of those who cannot. She has has raised the tone of its society; but she has done what reflects much more credit on her mind; she has taken the most lively interest in the poor, and is constantly improving and changing in order to afford them work. The lake was commenced solely to give them employment, and since then, hundreds have been daily hired to do what but for beneficence might well remain undone. Buy the eBook or Printed Book at Catchers of the Light shop.